Visit a medley of charming Provencal villages on this full-day tour from Aix-en-Provence! Traveling with an expert guide, you’ll discover the most scenic villages of the Luberon region, like Isle-sur-Sorque, Gordes, Bonnieux and Lourmarin. Visit an open-air market, a 12th-century abbey and more on this must-do tour! 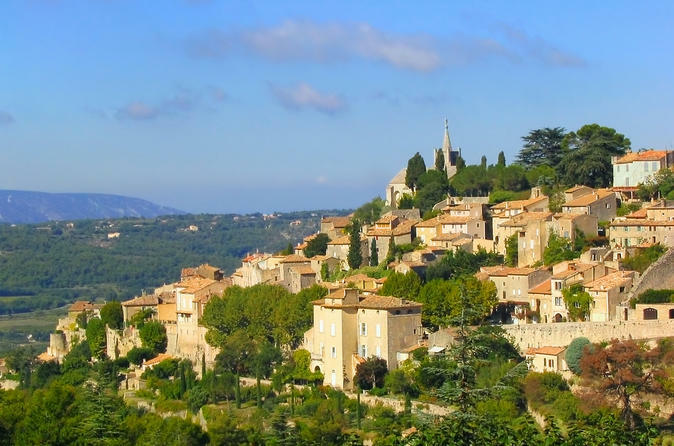 Spend an afternoon exploring the Luberon region’s hilltop villages on this half-day tour from Aix-en-Provence! 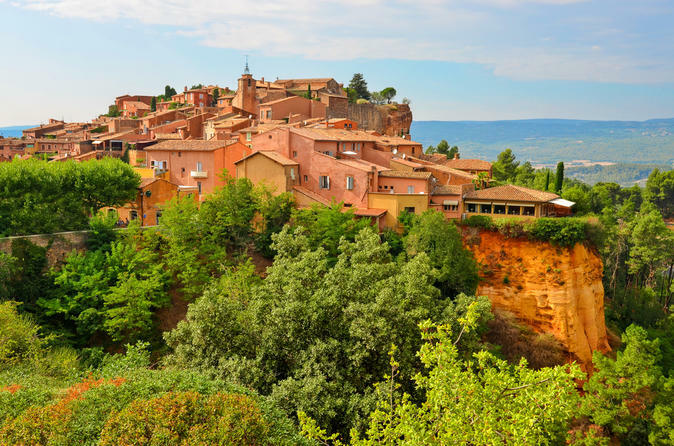 With an expert guide, discover the delights of Lourmarin, Bonnieux, Roussillon and Gordes, while seeing beautiful Provencal scenery as well as attractions like Pont Julien, a 12th-century church and more. Visit two stunning Provencal towns and a winery on this full-day tour from Aix-en-Provence! 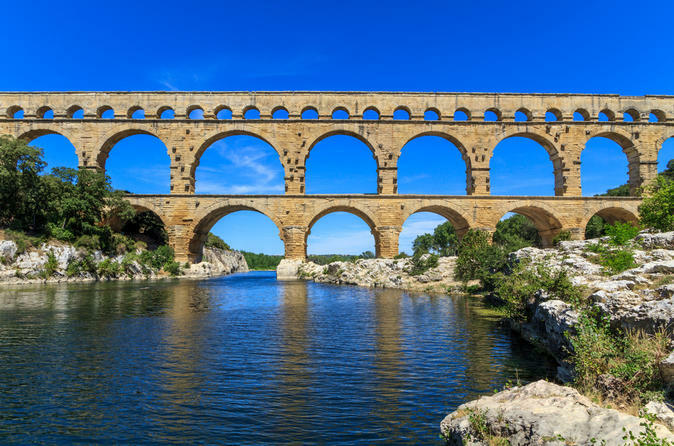 Start your day at leisure in Les Baux de Provence, admiring the soft-hued countryside that surrounds the cliff-top village, and then head north to Avignon, passing the UNESCO-listed Pont du Garde aqueduct on the way. Learn about Avignon’s papal history on a walking tour, seeing highlights like Popes’ Palace and Pont St-Bénezet, and then finish with a tour and wine-tasting session inside a Châteauneuf-du-Pape winery. On this day trip from Aix-en-Provence, venture north from the French Riviera to Alpes de Haute-Provence to see the highlights of this wonderfully scenic region. 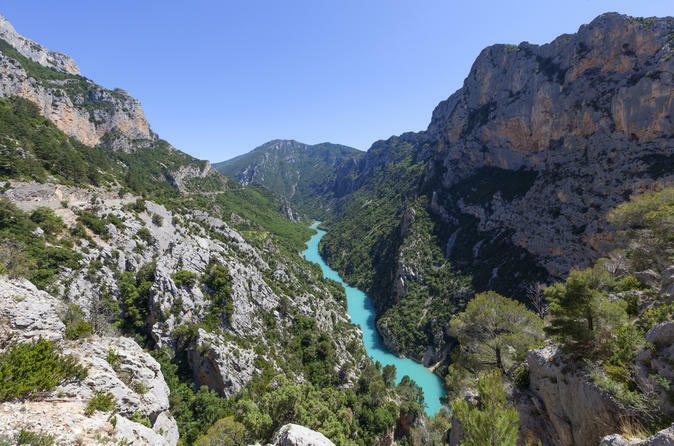 Discover centuries-old artisan craftsmanship in the postcard-worthy Provencal towns of Moustiers Ste-Marie and Manosque – where you’ll tour the famous L'Occitane factory – and enjoy breathtaking views of the Verdon Gorge and Lake of Sainte-Croix. Discover the fragrant Provençal lavender fields on a tour from Aix-en-Provence with an expert guide! With a choice of a morning, afternoon or full-day tour, the trip allows you to see as much of the romantic violet fields as your time permits. 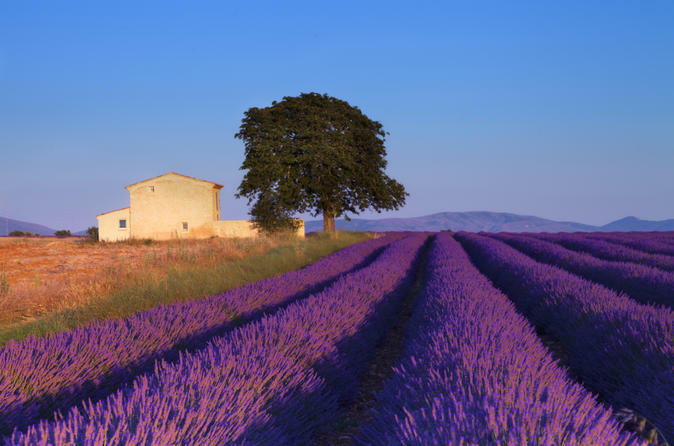 Learn about lavender production in the region, spend free time at a lavender farm or a scenic Luberon village (depending on option selected) and pose for photos galore in front of impressive lavender fields like Valensole Plateau. 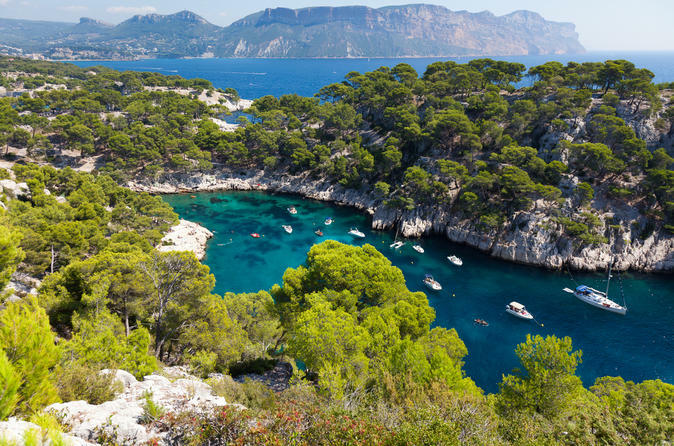 Visit the seaside village of Cassis on this half-day trip from Aix-en-Provence! One of the French Riviera’s quaint coastal gems, Cassis is the perfect place to experience the charm of a Provencal fishing village first-hand. After exploring its harbor, you can do as little or as much here as you like! Perhaps hop aboard a sightseeing boat to see the famous Cassis calanques (own expense), or check out the village's ambient cafés and shops. 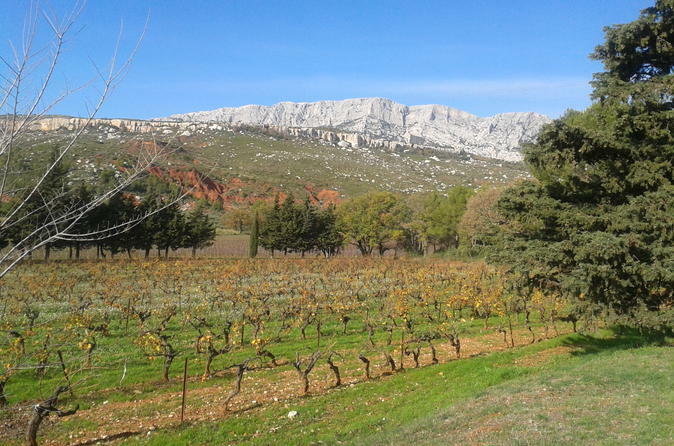 Visit Côtes de Provence St-Victoire winemaking region on this half-day trip from Aix-en-Provence! With an expert guide, travel to the scenic foothills of St-Victoire Mountain, and learn about the French painter Paul Cézanne who is said to have painted the peak nearly 60 times! Explore two traditional wineries in the area, enjoying wine-tasting sessions in each, and discover the delight of Provencal red and rosé wines! Combine fine wines with spectacular Provencal scenery on this full-day tour from Aix-en-Provence! 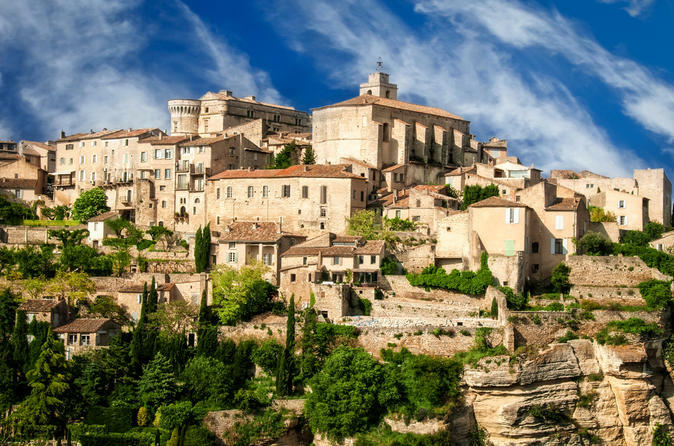 After visiting two wineries in the Côtes de Provence St-Victoire winemaking region and sampling their exquisite wines, spend the afternoon in the Luberon region – exploring the villages of Lourmarin, Bonnieux, Roussillon and Gordes with your expert guide! Follow the footsteps of Vincent van Gogh, see Roman monuments and visit one of Provence’s best open-air markets on this action-packed day trip from Aix-en-Provence! First stop is St Rémy de Provence, for a market visit and a look at St Paul de Mausole (where Van Gogh stayed after cutting off his ear). Relax in the cliff-top village of Les Baux de Provence, and then enjoy a walking tour in the UNESCO-listed town of Arles. 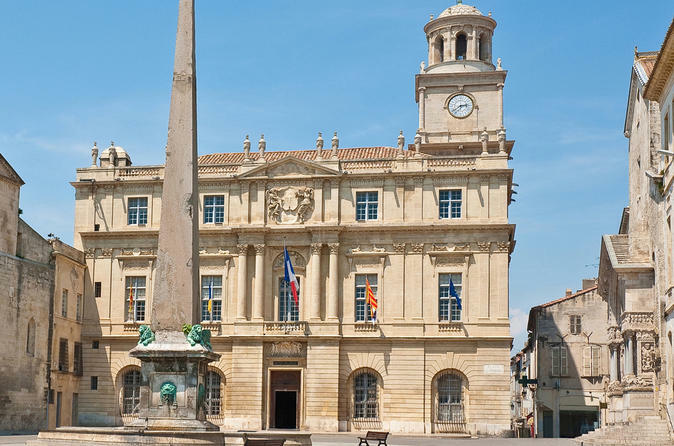 Learn about Van Gogh’s life in town, while seeing Roman ruins like Arles Amphitheatre! 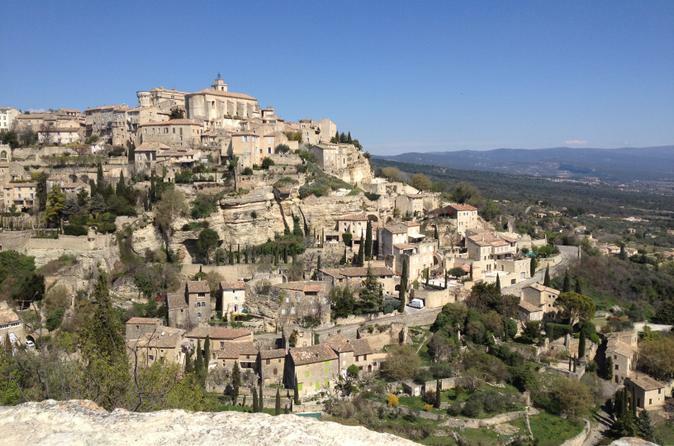 Discover the famous hilltop villages of the Luberon national park on your tour from Aix-en-Provence. Admire the beautiful surroundings and enter the world of Pater Mayle in his book 'A Year in Provence'. Visit Gordes, Roussillon and Lourmarin during this half-day excursion in small group limited to 8 people.